And, with three award-winning Gary Player-designed golf courses, it is globally famous amongst golfers. 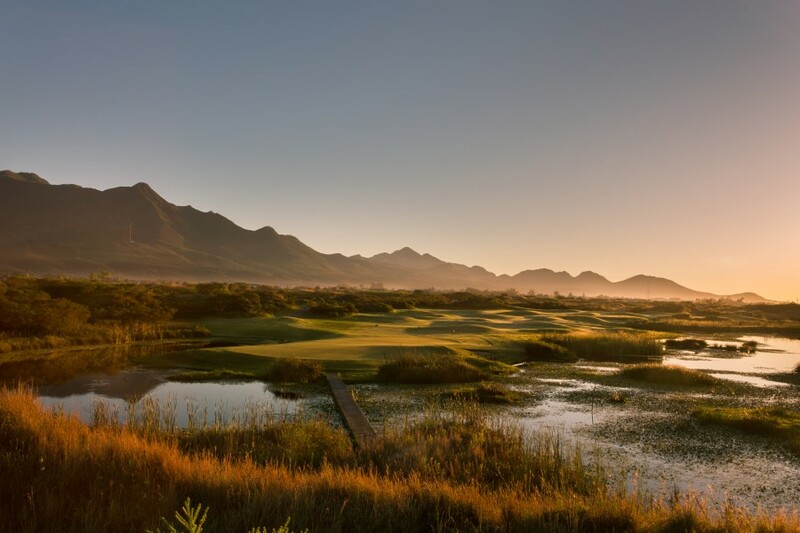 This year, for the fourth time, the Links Golf Course at Fancourt is number one in South Africa. Built around the former airport’s runway, this members-only course can only be enjoyed if you are a Fancourt hotel resident – estate walk-ins may play on the other two courses, Outeniqua and Montagu which were recently ranked by Golf Digest magazine at 14th and eighth positions which brings all three of Fancourt’s courses in the Top 15 in the land. As a non-golfer you’d be wrong to think that Fancourt isn’t for you. I fall into that category so take it from me: there’s plenty to do (or not to do) as the mood takes. We enjoyed walking the Outeniqua course which forms part of a 10km jogging route on the estate. The bird life, particularly around the many dams, was diverting and the Outeniqua mountain range is like an ever present embrace. 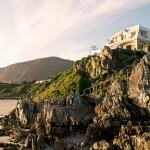 Considering that Fancourt Estate is nearly the same size as George, the company, owned by the Platner family, the founders of German software giant SAP, it has probably had the most positive impact on the neighbouring communities as Fancourt works hard to source locally – from materials and labour to build and continually upgrade the estate – to fish and seafood from the nearby coast. In the last few years, the region’s focus on the growing of hops has expanded into a number of celebrated micro-breweries and there are many Garden Route attractions to explore within easy reach. 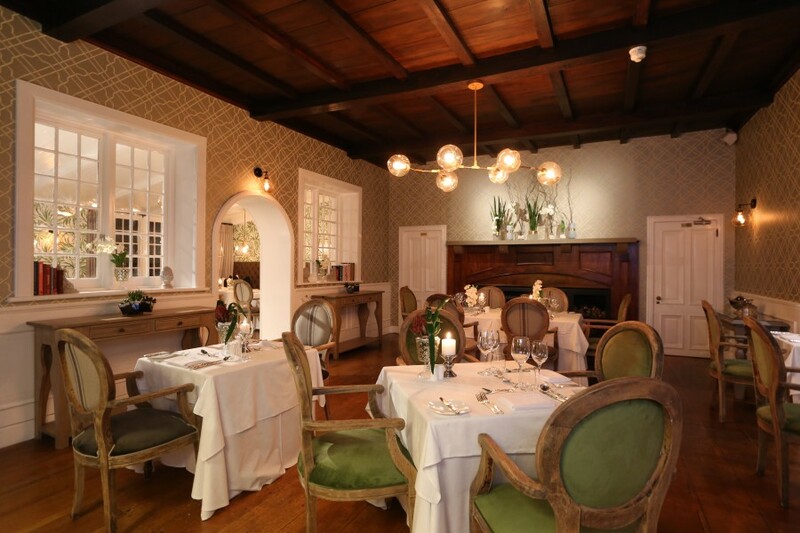 The most recent change at Fancourt is a new menu concept at Henry White – the restaurant named after one of the estates’ previous custodians – Henry Fancourt White and the estate’s most elegant dining option. 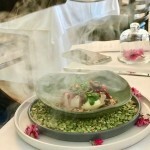 While they avoid the fine-dining label, from my perspective, the cuisine offering and attention to detail in service, more than qualifies. No longer a la carte, it is now a four-course choice menu, featuring arrival snacks, starter, soup, sorbet, main course and dessert. 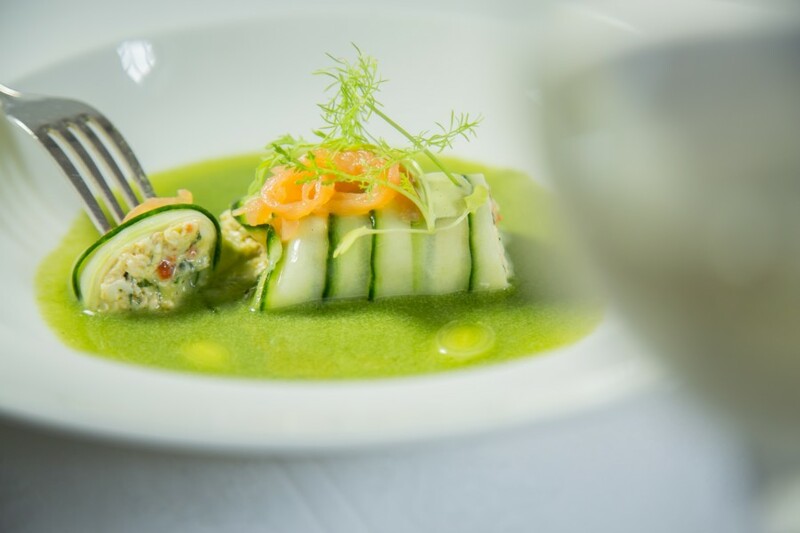 It can, of course, be paired with fine local wines and the restaurant has been given the highest honour by Diners Club for their outstanding wine list. 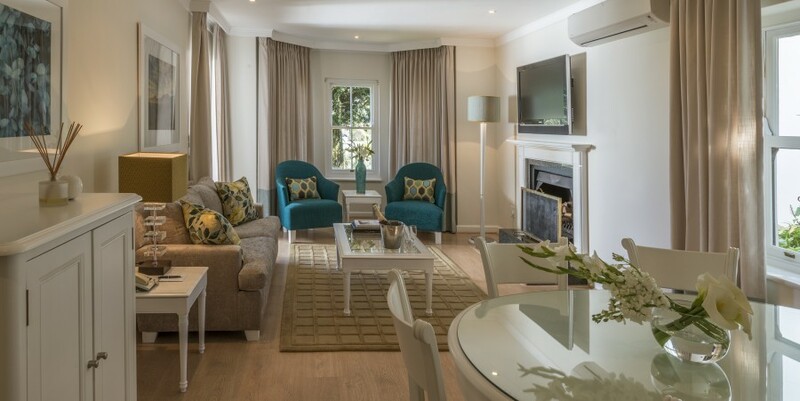 But, as this review is about the exquisite accommodation offered in the Manor House’s 18 suites, let’s leave the golf and cuisine for a moment. The Manor House was the original accommodation of Henry Fancourt White built in 1859. It was then called Blanco and was built to exacting specifications and today is a listed building and national monument because of its historical importance. White was so expert in the built environment that he was called upon to build a mountain pass over the Outeniqua mountain to connect the coast with the in-land Karoo. The Manor House retains its historic bones but interiors are elegantly appointed in contemporary and bespoke furniture. Interiors, in greys and whites and shades of black, are sumptuous yet in a slightly stern, Teutonic manner. 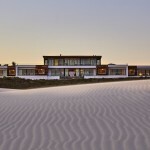 Everything is generously sized – suites are practically gargantuan, and, case in point, in addition to the Fancourt Estate’s quality bathroom amenities, there is a such a large number of bathroom amenities from local soap maker, Heaven Soaps – one might be accused of ransacking the supplier. Even with the tea and coffee station more is more: There’s a Lavazza Espresso machine with six pods at the ready (always and invisibly replaced the moment your turn your back by your butler) and a selection of fine imported and local teas. Where other hotels have a kettle, here they have an electronic water dispenser, to deliver the perfect temperature water for your desires. As a special guest you might even find your names embroidered onto the pillow cases. When the wall-mounted flat-screen TV is not in use it becomes an elegant gilded mirror and, as you’d expect at this high level, the multi-speaker sound system connects to your iPod and seamlessly via bluetooth to other tech. There is a gym in the standalone fitness centre which also includes an indoor pool which would rival a top commercial gym. The spa is located in its own Roman baths-style area of the main hotel building, and has, just this moment, been awarded “Best Hotel Spa in South Africa” at the annual Les Nouvelles Esthetiques Spa Awards. 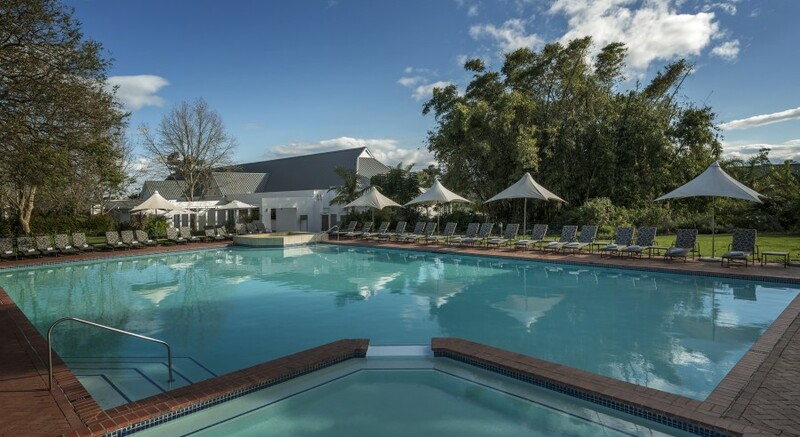 At the Fancourt Estate your options of where to dine are many and varied but, with butlers for each of the Manor House suites, you may well be tempted never to leave your luxury enclave and rather be waited upon in the most unassuming yet elegant way possible. Although children are not welcome in the Manor House, they are heartily encouraged in the main hotel and there is even a dedicated children’s play area and an electronic gaming section and cinema for young adults. 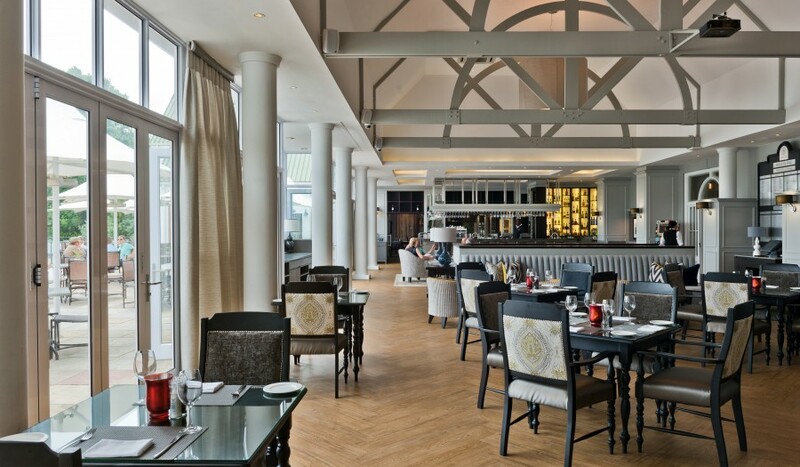 Generous in every way, a visit to Fancourt will, inevitably, lead to a return one. 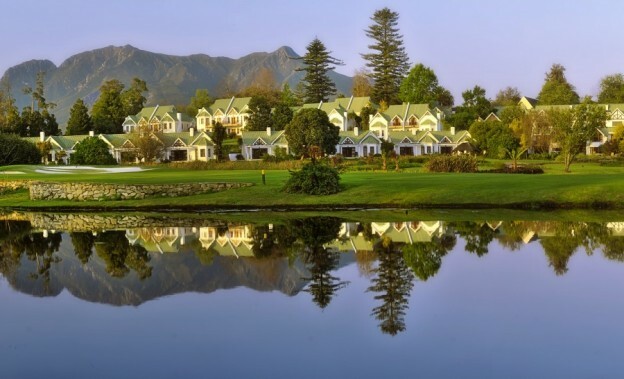 The Fancourt Estate, near George, South Africa.